In a world full of so many people and websites offering you the recipe for creativity, it’s getting harder and harder to find your personal genius and discover your own individual creative process. 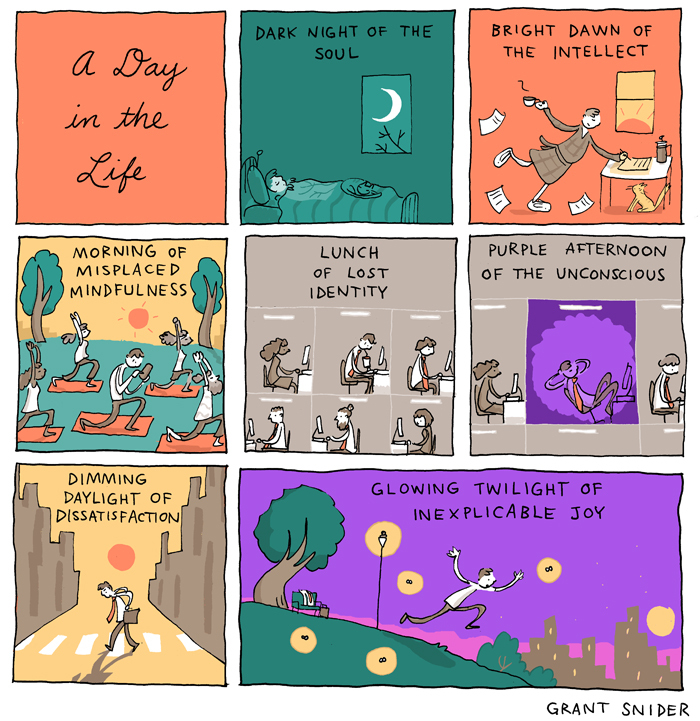 Here’s where you may have noticed Grant Snider’s Incidental Comics in your feed – an art comic series that unlocks questions rather than offering solutions. 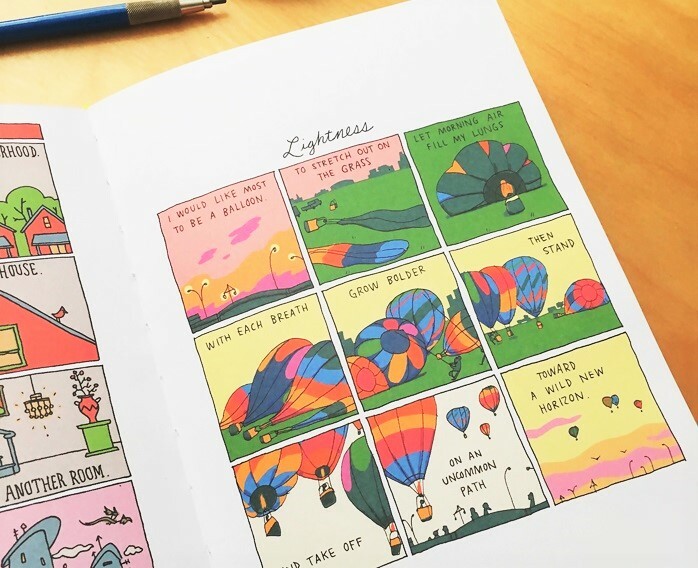 If social media posts pass in front of your eyes and get immediately lost in the sea of information, Grant Snider’s recently published book The Shape of Ideas is exactly what you need on your bedside table as a constant source of inspiration. >>> Read our interview with Grant Snider. The Shape of Ideas is not a book to read from cover to cover, but rather one that makes you flip through the pages out of curiosity, searching for the comic that best matches your current state of mind. Grant’s unique approach to everyday concepts and objects is so refreshing! It reminds us of a truth that each of us used to believe in as children: that even mundane objects can become important ingredients of magical stories if we dare to invent them. A mere walk in the park or a glance at the clouds drifting across the sky turn into special events when you look at the world through Grant’s eyes. If you try to predict the next square of any of Grant’s stories, you will fail every time. This is exactly what makes you open the book every time you see it. Take a moment to browse through Grant’s stories and you will recognize your own hopes, ambitions, reflections and inner hustle on almost every page. Remember that part about unlocking questions I mentioned at the beginning? Actually, this book provides many answers, too. All you need to do is come up with the right questions.